Don't worry, it doesn't have feelings. She "was going meaningless, going full and opaque, so much insignificant substance." I made my own coffee this morning, which is weird because usually my Other makes it. He's just better at it. But this morning, I had to make my own. 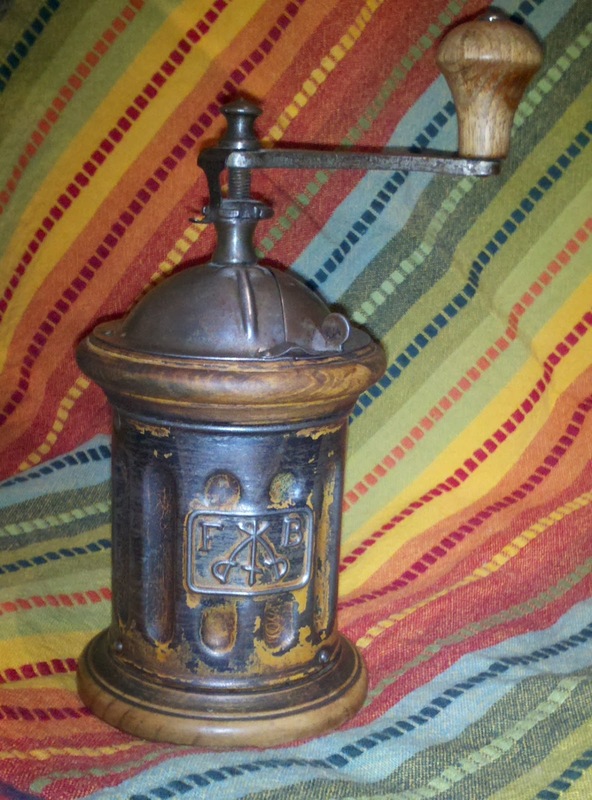 We have a variety of ways to grind the beans, but lately what's been winning out is the ancient hand grinder that we scored from my dad. The grinder was his mother's before him and I lose the trail after that, because my sweet grandma is 94 years old. As my teeny arm got tired of wrenching that handle around in circles to grind a whole pot, that DH Lawrence line popped into my head. We're all going meaningless. 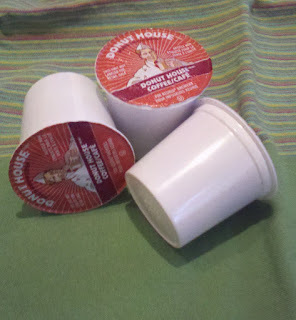 The k-cup is insignificant substance. The hand grinder is a familial connection to old world Italy, to my family and my roots. K-cups fill giant spaces of land that reek and rot; they're meaningless and full...get close enough to a landfill and I guarantee you'll notice its opacity. Walk into my kitchen and you'll probably ask me about my ancient hand grinder. We'll have a conversation about it; you'll take it apart and hold it in your hands. I don't like the meaningless parts. This doesn't mean I embrace the lifestyle of my father, who can't make it through a grocery store or bank line without talking to 45 different people and making new best friends wherever he goes. I draw the line at 20 new friends. We've got stuff to do in life, after all! But I do hate how transient every single thing is becoming. Touchstones seemingly only reside in holiday traditions, if that. Once a year you get out the tree ornament, or the menorah that has been passed down. When we sit in November, we say the same prayer of thanks, but then gorge and pass out...words forgotten. We're digitizing novels and newspapers, making them 1's and 0's for the ages. Where will the book be? Where will the vinyl record be in 100 years when all it was to begin with is a file in an iTunes store? and thousands of cups shared. My coffee mill isn't just a quaint way to make some sludge I toss down my throat in order to make it through a day. It's a reminder of my grandparents, who got on a boat and journeyed to America as immigrants. They left a war torn country, run by a dictator who said my dad couldn't be named "Walter" (and for that I gotta give Mussolini some props, because my dad is NO Walter). Here I am using the grinder that was packed onto that ship called the Saturnia, and made the journey with them. It's the sum of my historical parts. What am I adding to my children's future sum with k-cups, paper plates, iTunes, eBooks, and fast-food? The ease of "disposability" is erasing any notion that we have things worth keeping or passing down. It's all turning into "insignificant substance." And that kind of bothers me. This made me cry...it touched me on a deeper level than just thinking about K-cups..